The technology in football gear has come a long way and so to has the technology in football socks. 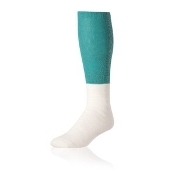 Football socks have moisture wicking and performance technologies to keep our feet comfortabel and improve blood flow to your muscles to improve your overall performance and allow you to play at your best. 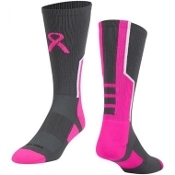 At Endzone Sports, we have every thing you need to play your best including the best socks available specifically for football. Socks come in many different forms such as crew, long over calf, numbered and 2 color collegiate style. 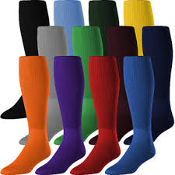 At Endzone Sports we stock every style football sock necessary to allow you to play at your peak level! If you have any questions please feel free to contact our customer service department at (516) 409-2195, and we will help you pick out the best football socks for your playing situation! 3935 Merrick Rd. Seaford, New York 11783 Copyright © 2001-2019 Endzone Sports. All rights reserved.